1. 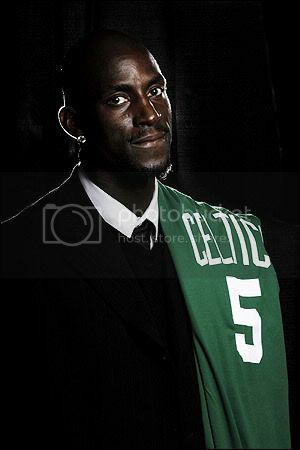 Wonder if Pistons fans are aware that Kevin Garnett's good buddy Chauncey Billups advised him, when KG was uncertain if Boston was the right fit, that accepting a deal here would be a wise career move, in part because it would be "easier to win." You have to give Billups credit for being a loyal friend, though should the Celtics bounce the Pistons from the postseason, I wouldn't blame Detroit fans for questioning his loyalty to them. 2. Sure, I admit it. I've hopped aboard the Bruins' playoff bandwagon much in the same way noted college hoops aficionado Bill Simmons suddenly thinks he's some sage combination of Jay Bilas and Pat Forde every March. So take my opinion on this with a whole shaker of salt, but from my mildly informed perspective, it seems like Claude Julien has handled his team brilliantly in this series. Consider: After a gruesome Game 1, he decides his team's only chance of making this a series is to emphasize smart aggression and discipline, so he sits talented softie Phil Kessel. That strategy works for the most part and the Bruins scrap to make it a series, yet they struggle to put the puck in the net, so Julien brings back a clearly motivated Kessel for Game 5. Not only does Kessel (who looks like a young Gary Busey) score a goal, but he tries to do all the little things that he usually avoids. Pretty astute coaching and knowledge of your personnel, I'd say. 3. One more Bruins item: Got a kick out of watching the Montreal "faithful" stream out of Le Ribbit Centre Thursday night after the Bruins took a two-goal lead with about 10 minutes remaining. Who knew those little towels they like to wave were actually white flags? In that sense, the Canadiens fans reminded me quite a bit of Yankees fans, except with a much better command of English. 4. Just can't imagine the Falcons will spend that No. 3 overall pick on BC quarterback Matt Ryan. They've already had Joey Harrington once. 5. Manny's turning Mike Mussina into his personal batting-practice pitcher while crushing the ball like he's 28 again. 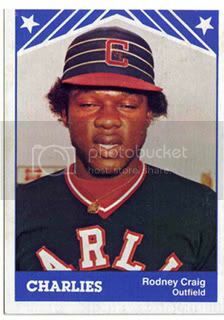 Papi's hitting like he's possessed by the ghost of Calvin Pickering (until last night, thank goodness). And strangely enough, both developments have left me with the same thought: Man, we've been so lucky to watch these two phenomenal hitters do their thing all these years. Savor it while it lasts, because, damn, is it ever going to be a bummer when it ends. 6. Having seen him quite a few times for the Sea Dogs last season, I can say with confidence that defensively, Jed Lowrie will never be an everyday major league shortstop. His range is Jeterian, and his arm isn't all that accurate. But the kid's going to be a good hitter for a middle infielder - it wouldn't shock me if he duplicated Mark Loretta's career - and it is barely an exaggeration to say he's helped the Sox more in his first week here than shortstop incumbent Julio Lugo has in a year-plus. 8. Of all the wonderful developments with the Celtics this season, one of the most satisfying is the emergence of Leon Powe as a tough, reliable, and remarkably efficient force off the bench. My only question is this: What took so long, Doc? I never understood why Powe couldn't get significant minutes on last season's flame-engulfed zeppelin of a basketball team. 9. I don't think I laughed more than once or twice during the first 20 minutes of "The Office" Thursday, and I have to admit, I caught myself wondering whether this uneven fourth season is a sign that the show has lost its way, that it would never be as hilarious and heartwarming as it was in its outstanding second and third seasons. But damned if the writers didn't redeem themselves entirely in the final 10 minutes. Not only was the Jim/Pam twist brilliant in that it restored the pleasant tension that has been missing since they got together, but it was also nice to see Kevin step out of his usual role as a caricature. Consider my faith restored that this show will find greatness again by season's end. This is easily my favorite Onion item since . . . well, since the last column by Jim Anchower, probably. The strange thing is, Williams actually looked like he was encased in cement his last few seasons in center field. Anyway, baseball. The big news of the night so far: No Papi. Tito Francona wisely gave his frustrated, .070-hitting designated hitter a much-needed night off, and that tells you all you need to know about the value of Sox-Yankees games in April. I have a feeling both Papi and Derek Jeter (who has not played in this series due to a dislocated girdle . . . er, strained quad) would be in the lineup tonight if this were August. One other pregame observation: As a reader pointed out in the comments on the last post, this is huge one for Dice-K, at least as far as April ballgames go. He's had two terrific starts in a row, aggressively challenging hitters and pitching with what seems to be increased confidence - Gammons just mentioned that he looks "comfortable in his second act," an articulate way of putting it - but we all know this Yankees' lineup is traditionally relentless and disciplined. And Matsuzaka certainly had his troubles with them last year, posting a 6.12 ERA in four starts while walking 13 batters in 25 innings. Is he up for the task? I'm hopeful considering how he pitched in his last start against Detroit, but we'll know for sure in about three hours. Maybe four. Hell, with these teams, probably six. All right, the game's underway, and I'm already falling behind here. Hopefully we won't say the same thing about Dice-K too often tonight. Two walks (Damon, Abreu) in the first three batters. Not what we had in mind there, Mr. Matsuzaka. Didn't you read the intro? Fortunately, A-Rod is already in his mid-autumn form, and obligingly rolls Dice-K's first pitch to Kevin Youkilis, who starts the 5-4-3 double play. It's amazing how A-Rod can justifiably be considered the best player in the game, and yet fans of the Yankees' opponent don't mind seeing him at the plate in big situations. I mean, he hit 54 homers last year. More than a few of them must have been meaningful, right? Jon Miller tells us that Yankees starter Phil Hughes (who I am convinced will be a legitimate No. 1 starter, someone who will still be winning in the majors when Joba Chamberlain has a scar on his elbow and Chris Farley's midsection) grew up a Red Sox fan. I knew there was a reason I kind of like the kid. Jacoby Ellsbury works a walk, bolts for second, and zips over to third when Jose Molina's throw sails wide into center field. There's no doubt he's an absolutely electric athlete who makes things happen on the bases. I'm just not convinced - yet - that he's a disciplined enough hitter to make it to first base with any consistency. I'll admit it: I still think Coco Crisp is a better option in center field for this season. I imagine all of my Pink Hatted readers will cancel their subscriptions now. Hughes whiffs Dustin Pedroia on a 3-2 count, then walks J.D. Drew, batting in the No. 3 spot while Papi takes his mental health break. Hughes is doing what we worried Dice-K would, struggling with his command and racking up a high pitch count in the early going. For all of Hughes's talent, it's easy to forget he's only 21, three years younger than Clay Buchholz. Nope. And Manny makes the Yankees pay yet again, roping one over Robinson Cano's head to score Ellbury, and it's 1-0, Sox. Jon Miller tells us that's Manny's 154th career RBI against the Yankees. Someone needs to get that statistic to that washed-out clown Mike Adams immediately. Make that 2-0, thanks to a Youkilis sacrifice fly. Just another little thing he does well. He had five sac flies last year and 11 in '06. Sean Casey rockets a ground-rule double into the rightfield seats (Miller calls it an "automatic double"), and I'm officially convinced that Casey (a.k.a. The Nicest Guy In Baseball!) is not the second coming of J.T. Snow. He's been absolutely terrific filling in since Mike Lowell got hurt. Hughes finally escapes the inning, but not after throwing 39 pitches. According to my abacus, he's on pace for a 351-pitch, complete-game, 27-0 loss. Hope it happens for him. 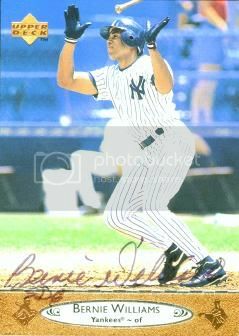 Dice-K walks Hideki Matsui to lead off the inning. Exactly what you're supposed to do with a 3-0 lead. Geez. After falling behind 3-1 to Jorge Posada, Dice-K battles back and gets him to foul out to Jason Varitek. Encouraging. By the way, Posada is DHing again tonight because of a "dead" throwing arm. As far as I'm concerned, the thing could be severed, and he'd still scare the hell out of me with runners on base. My apologies for the sarcasm after the Matsui walk; it's an easy, breezy inning for Dice-K, who gets Giambi to pop to Ellsbury in left, the retires the next batter on a fielder's choice. Crisp leads off by dropping a bunt down the third base line. A-Rod, who is distracted while applying his rouge, recovers to field the ball, but Crisp beats his throw by the edge of a cleat. To be honest, I thought he was out. One out later, and Crisp on third, Ellsbury hits a little popup to shallow left. Temporary Yankees shortstop Alberto Gonzalez races back and makes a running catch. Jeter immediately bursts into tears. "But that's my signature play!," wails the captain. Just wait 'til Gonzalez breaks out the fist pump. There will be blood. Joe Morgan, who isn't annoying me as much as usual tonight, probably because I'm distracted by this thing, says that Ellsbury has trouble with the inside fastball. The cold truth hits me hard: Oh, my God. 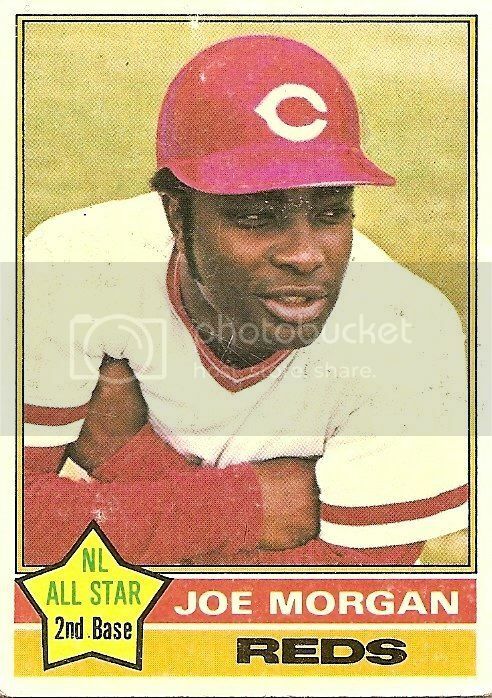 I agree with Joe Morgan. Please, don't let Ken Tremendous know about this. After retiring Gonzalez on a smooth defensive play by Julio Lugo, Dice-K walks Damon for the second time tonight. That's his fourth walk in 2.3 innings. Miller notes he's not pitching to contact. Sigh. After Damon swipes second, Dice-K battles back from yet another 3-1 count to get the dangerous Robinson Cano to popup. The radar gun readings on his fastball tonight aren't great - 90, 91, 92 - but Cano was late on three straight heaters. The point here is twofold: 1) Dice-K seems to have better late movement on his fastball this season than he did at any point a year ago. 2) He needs to throw the damn thing earlier in the count rather than messing around with the soft stuff all the time. Well, the Yankees get one back, thanks to an Abreu wall scraper that plates Damon, making it 3-1, Sox. Fortunately, A-Rod is next, and he graciously pops to Casey in foul ground to stall the threat. By the way, I can't tell if Casey is a good defensive first baseman or not. I know he used to be, but he's had some awkward moments with the glove so far. Gammons pops in with a rehash of the teams' offseason flirtation with Johan Santana. I always thought he'd end up in the Bronx, so I considered it a Sox victory when he was swapped to the other New York ballclub instead. And for the record, I'm still not convinced he's the pitcher he was two years ago; he gave up a home run to Gabe Kapler yesterday, for heaven's sake. Drew leads off the Sox half with a walk. Someone mentioned in the comments on the last post that he's my "whipping boy." Not true. Lugo's my whipping boy. Drew's my scourge. Get it straight. Actually, to be completely honest, I've really enjoyed watching Drew hit this season - he makes it look so easy when he's locked in, something we didn't get to see last season right up until he dug in for his fateful at-bat against Fausto Carmona. I believe he's capable of a big year, and that he has the talent to justify the contract the Red Sox gave him. I still don't get what they ever saw in Lugo, however, and that's the difference. Just saw a couple of Sox fans wearing t-shirts that said, "L.M.B. Yankees." I'm not sure if I should be proud or not when I say I broke the code in about .00094 seconds. Manny singles, Youkilis singles to score Drew, and Mighty Casey singles to score Manny as Damon's "throw" trickles without purpose through the infield. (C'mon, I know I'm not the only one who snickered.) It's 5-1, Sox, and Hughes's night is done. 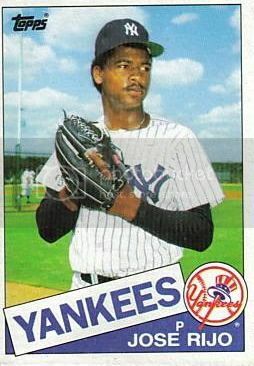 For the record, 19-year-old Jose Rijo's first start at Fenway didn't go much better, and he turned out to be an outstanding pitcher. Ross Ohlendorf in for Hughes. This kid has a good arm, but after he retires Crisp on a grounder Giambi (whose range has improved since he got the giant hypodermic needle surgically removed from his $*$), he bounced one past Molina as Youkilis cruises home. Make it 6-1, and I'm beginning to think this game will end about this time tomorrow night. RBI single for Ellsbury. 7-1, Sox. Hughes's final line: 2 innings, 6 hits, 7 runs, 6 earned, 3 walks, 3 Ks. His ERA this season: A nice, even 9.00. Gruesome. Still think he's better long-term than Joba the Midge Whisperer, though. Morgan seems annoyed that Papi isn't in the lineup. You know this never would have happened on the World Champion 1975 Cincinnati Reds. "Let me tell you, Jon, Tony Perez never missed an inning, even after he lost an arm to gangrene and was stricken with polio! Did I mention we won the World Series that year? They called us the Big Red Machine, Jon. I was the MVP . . . "
Crisp misjudges a fly ball by Matsui. I haven't seen him do that since '06, when his GPS was occasionally faulty. I still don't understand how he improved by so much defensively in just one season. I imagine it must be credited to his work ethic or his improved familiarity with Fenway. Dice-K doesn't seem particularly interested in making this easy. Sure, Crisp cost him one out, but a walk to Giambi and a Molina RBI double make it 7-2, and Gonzalez follows with a nine-pitch at-bat that culminates with an RBI single to center. It's 7-3 and on the verge of being a ballgame again, and Dice-K is back to nibbling against mediocre hitters. Maddening. His glove will inspire someone to give him a shot at some point. His bat is off of the Rey Sanchez shelf - better than Tony Pena Jr.'s, but that's all. I'm willing to bet a Tony Pena Sr. rookie card (book value: 75 cents) that BP is a better predictor of Gonzalez's future than noted superscout Giambi is. Dice-K gets out of it, but not before allowing another run on a Damon sac fly, scoring Molina, who makes it home safely despite running like he's carrying his brothers on his back. It's 7-4, good guys, and it should not be this close. Dice-K gets Abreu looking. I'm a believer in making the pitchers work and the value of a high OBP, but sometimes Abreu looks like he's not particularly interested in swinging. There's a point where patience becomes passivity. Morgan thinks they'll leave Dice-K in for five innings so he can get the win. That's the first truly ridiculous thing I've heard him say tonight, but he still hasn't matched the idiocy of McCarver yesterday, who claimed that Varitek getting thrown out at second by 10 yards was a good baserunning play. I think my brain is hemorraging from trying to solve that one. Dice-K's at 112 pitches through 4 2/3ds. God, he's excruciating. He teases us by breezing through Abreu and A-Rod for the first two outs, but then walks Matsui (his sixth of the night), and Posada ropes a single to left. Here's Giambi as the tying run . . .
. . . and Crisp hauls in his laser. Exhale. I think I'm sweating as profusely as Giambi right now. He must go through a dozen shirts a day. So, think Dice-K (116 pitches) has another inning left in him? With Papelbon unavailable and Okajima also due for a day of rest, they might need to try to push him through another inning or two. At least you know that he'd just as soon stay out there for 150 pitches. Just peeked over for the Bruins score. Glad to see they got one. I'm obviously no Gallery God - I think the last time I mentioned them on this blog was when Joe Thornton was traded - but I do follow them and I've been impressed by how they get they most out of very limited talent this season. Julien seems to know what he's doing. Okay, back to the regularly scheduled programming, the Sox go 1-2-3 in their half, and frankly, at this point, I'm fine with that. Jon Miller mentions that Aardsma replaced Hank Aaron as the first name in the Baseball Encylopedia. C'mon, you knew he couldn't resist. Aardsma gets Molina to ground out, but walks Gonzalez and Damon back to back. Ugh. Just throw strikes, Meat. That's now a Mantei-like six in six innings for Aardsma this season, and the Yankees have eight walks tonight. Their patience - or the Sox pitchers' lack of command - is keeping them in this game. Pedroia hits a rope off the wall, but hesitates slightly around first, and Matsui's crappy throw is just good enough to get him at second. Somewhere, Tim McCarver nods in approval and says to his male nurse, "Now that's great baserunning, son. Can I have my Ovaltine now?" Gammons tells us Pedroia's hands are the same size as his. I'm not sure what that means, but I fear it's teetering on Too Much Information. Drew and Manny go quietly against LaTroy Hawkins, and A-Rod is due to leadoff the seventh for New York. This is the perfect time for him to hit a home run - down three with no one on base. I'll admit it - I loved the story of the buried Ortiz jersey in the foundation of the new Yankees stadium. You know Hank Steinbrenner would have done everything but fire nuclear missiles at the site if his minions couldn't find the damn thing. If Dr. Steinberg still worked his schmaltz for the Sox, the construction worker who buried the shirt would have thrown out the first pitch tonight. Aardsma gets A-Rod to fly to right. Huh. I thought this was his moment. Matsui and Posada also go feebly, with a smooth scoop by Casey ending the inning, and that's just what the doctor ordered. Damn, these Sox-Yankees games are a grind. Where's Greg Maddux when you need him? Sox go in order. Cool with me. Let's get this win in the books and get out of here. Oh, Lord, no . . . a Timlin sighting. Shouldn't have counted my victories before they've hatched. And wouldn't you know it, Giambi takes him deep for the second time in three days, and it's 7-5, Sox. I probably should have learned my lesson about writing off Timlin last year . . . but the guy is 42 years old, and I think John Farrell has better stuff at this point. Are we sure Okajima can't get a couple outs? Molina, who has been a complete pain-in-the-Steinbrenner in this series, singles, and pinch hitter Melky Cabrera follows with another hit. Get Timlin out of there, Tito. He's fooling no one but you. Javier Lopez, in to face Damon. Just when I was about to look up his numbers against lefties last year - I don't recall them being good - he breaks Damon's bat and Pedroia makes a savvy tag-and-throw double play to lower our blood pressure a bit. A job well done on all counts. For what it's worth, lefties hit .293 with an .810 OPS against Lopez last season. Righties? .176/.565. He is not a lefty specialist, despite the funky motion and repertoire of slop. And whaddaya know: Lopez gets Cano to ground out to Pedroia, thus holding lefties to a .000 average and .000 OPS in this particular game. That's why Tito makes the big bucks while I sit on a couch typing 5,000 words of nonsense for four hours. I'm humbled, not that I had far to go. Just saw the commercial for the "Walk Hard" DVD. Yup, this should get me through the rest of the night. Crisp greets Kyle Farnsworth with a scorched single to center. Hmmm. The book said Crisp could crush anyone's fastball during his two productive offensive seasons in Cleveland, but we really have seen him do it since he broke his finger early in the '06 season. Is this, a hard single off one of the hardest throwers in the league, a cause for optimism, a sign that he's going to be a productive hitter again? Here's hoping. I'm not fond of the term "manufactured run," but that's exactly what Crisp just did with this sequence: Single, steal, advance to third on a fly to right by Lugo, score on a sacrifice fly by Ellsbury. Very impressive, and with the heart of the Yankees order coming up in the ninth, it's a crucial run to make it 8-5. Man, Posada can't throw - literally. Pedroia just swiped second without drawing anything but a hangdog look. Girardi might be a better option to catch at this point, but I give Posada credit for going in there after Molina came out of the game last inning. It's a selfless thing to do for sure. Drew flies to left, and thank God, we go to the . . .
Lopez departs after getting Abreu thanks to a nice backhand play on a short hop by Lugo, and let the record show he retired all three lefties he faced. Of course, Miller raves about how effective Lopez has been against lefties through many years, which makes me wonder if he's ever even heard of baseball-reference.com. That's the kind of nonsense I expect out of Morgan. 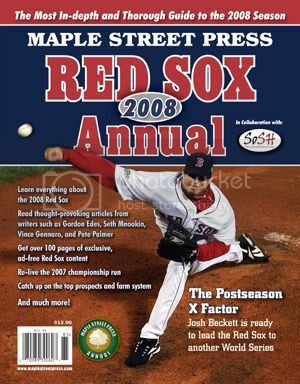 Delcarmen smokes A-Rod, and then you remember why Varitek says he has the second-best stuff on the staff after Beckett, the usual closer included. 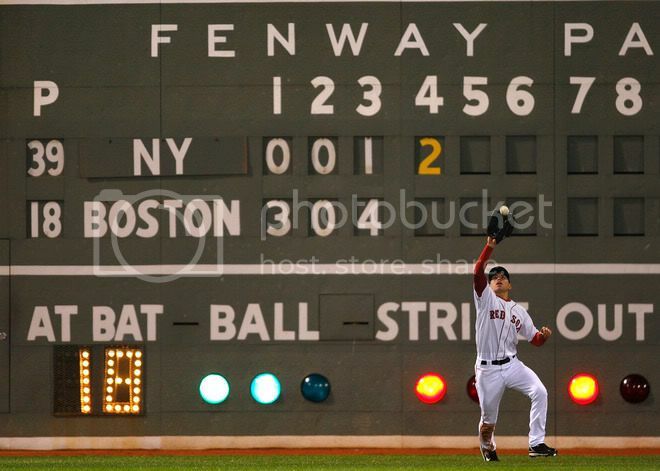 Delcarmen wraps up his second big-league save, getting Matsui to ground to Tiny Hands Pedroia to end it. Papelbon couldn't have done it any better. The final word: Sure, Dice-K pitched like he did last postseason, earning the win while inspiring little faith, but any time you can get a win over the Yankees without using Papi or Papelbon, it has to be considered a successful night. And extra kudos to Aardsma, Lopez (one of the all-time great lefty specialists, in my humble opinion), and Delcarmen, who performed ably while allowing Papelbon and Okajima to get a little relief themselves. "I played for the Big Red Machine! My armpits are very warm!" Possibly. Check back in later if you're one of the seven readers interested in such a thing . . .
Update, 3:52: I'm in. See you around 8 for four hours of Joe Morgan's unique brand of stupidity.